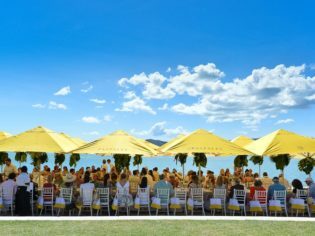 The Paspaley "Pearl Pursuit" lunch at qualia for Hamilton Island Race Week. The mother of all Whitsundays events is Hamilton Island Race Week. It is a firm fixture on the international sailing calendar with hundreds of yachties – from amateurs to old salts – coming far and wide to compete in 10 days of racing. It’s quite the spectacle, seeing the trademark turquoise water dotted with a fleet of bright, billowing sails; and the atmosphere is just as colourful on shore. 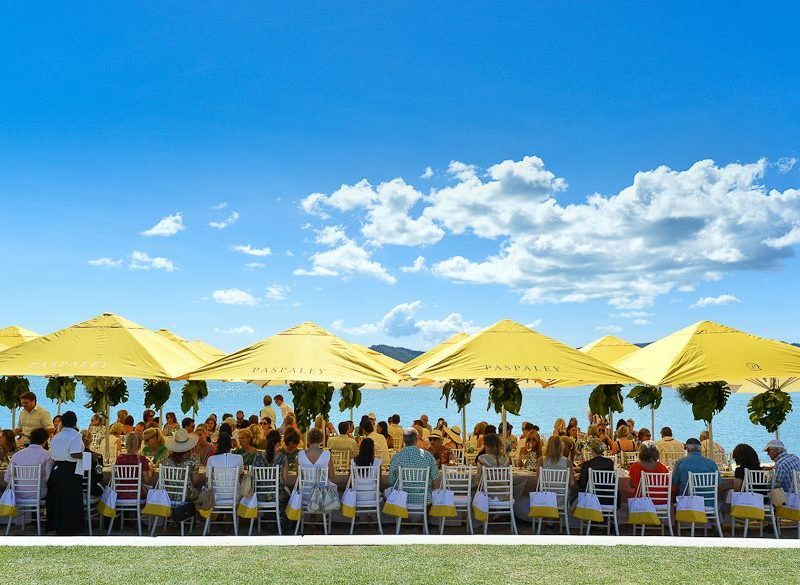 The program includes everything from fancy lunches with free-flowing champagne, to fashion parades and pool parties, as well as more low-key events like beachside yoga, a fun Audi driving challenge and street-style food stalls each night on the marina’s Front Street. With all the excitement and those Hamilton good looks, it’s an event worth travelling for – even if you’re not into sailing. Front Street on the marina is where to go to soak up the buzzing atmosphere of Race Week. The welcome party will take place here, complete with fireworks over the marina, and each night of the week it will transform into a street-stall scene with a menu of casual eats including a barbecue and spit night. Each night, 5:30pm – 8:30pm, non-ticketed event. There are a plethora of specialty bars which can change each year depending on sponsors but the Lazy Bear Rum bar attracts the true salties while the Tanqueray and Piper-Heidsieck bars are far more for those who enjoy race week without ever leaving land. Get right into the spirit of the event at the annual Main Pool Party on the ‘lay day’ with DJs and cocktails.